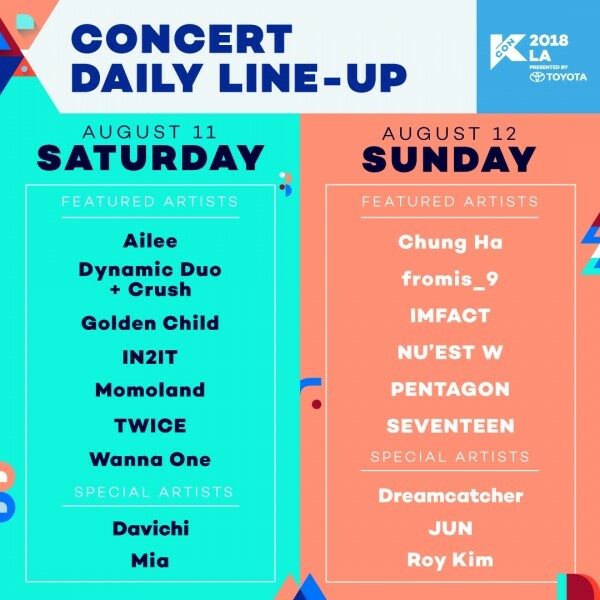 ​KCON 2018 LA​ ​has brought 4 more artists to complete its line-up this year as well as unveiled the daily line-up for the two-day concert. 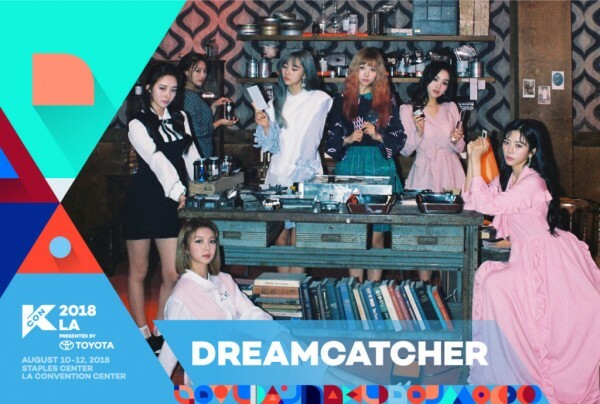 First artist up is girl group ​Dreamcatcher​, formed as a 7-member group under ​Happyface Entertainment​. They made their debut in 2017 with a Japanese rock/goth style song, '​Nightmare​', proving themselves different from the cutesy, girly concepts that are more prominent in the Korean music scene nowadays. With such a different style, fans will be in for a treat with this group! 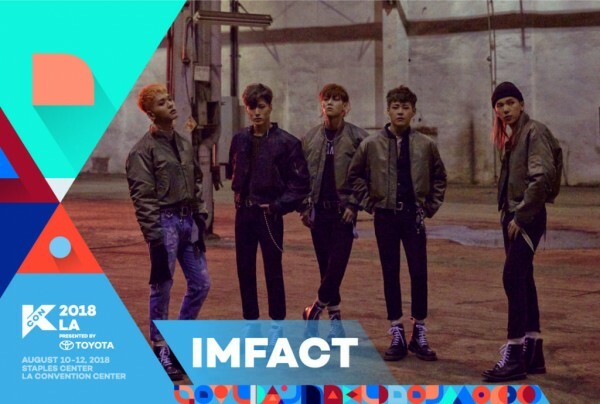 Five-member boy band ​IMFACT​ joins the ranks of the ​KCON 2018 LA artists. This marks the group's first appearance in LA. The group was formed under ​Star Empire Entertainment​ and debuted in 2016 with self-produced track '​Lollipop​'. They recently made a comeback with '​The Light​' just three months ago and have treated their fans to all sorts of mini concerts, fan meetings, and monthly releases. In recent years, he has performed as a special guest before the beginning of the concerts and participated in fan meets and panels during the convention. 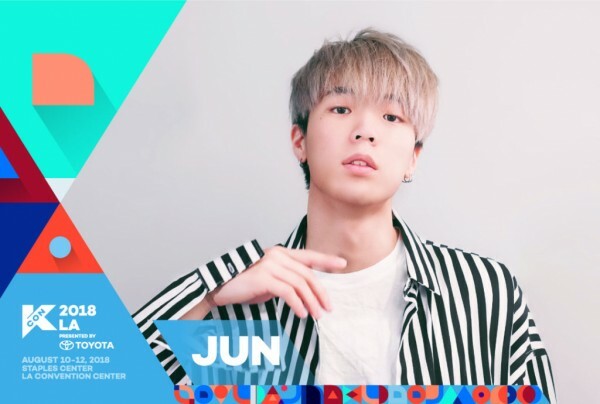 Now, ​Jun​, better known as ​JunCurryAhn​, finds himself as one of the special guest performers of the evening. No stranger to the music scene, he first gained prominence through his violin covers of famous KPOP songs and joined ​Ryan Higa​'s boy group '​BGA​'. Last year, he released his solo song '​When I Call​' and will follow that up with 'Hold It Down​' during this year's KCON LA. 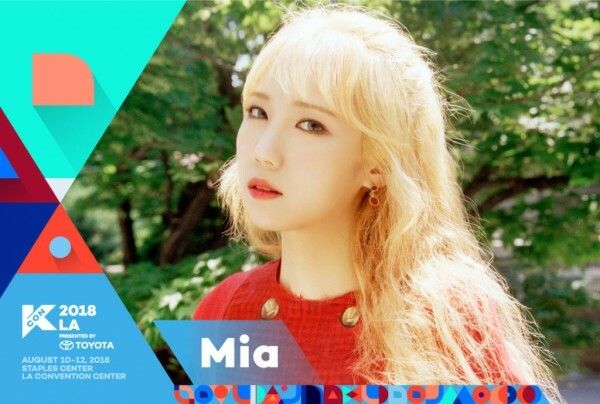 One more female sololst will join this year's KCON LA and that is none other than ​Mia​. A singer-songwriter who is currently attending the ​Berklee College of Music​, Mia participated in this year's ​Mnet​'s ​BREAKERS​ reality music battle show where she placed in the Top 4 alongside ​Seo Samuel​, ​Penomeco​, and ​Pentagon​'s ​Hui​. But that's not all. The daily line-ups, as can be seen above, have been announced. Which tickets are you planning to buy? What kind of special stages are you expecting?